All Markets Are Cyclical – When Will This One End? “In his latest memo to clients, [Howard Marks] outlines his basic philosophy and how it affects Oaktree’s investment process at the moment. 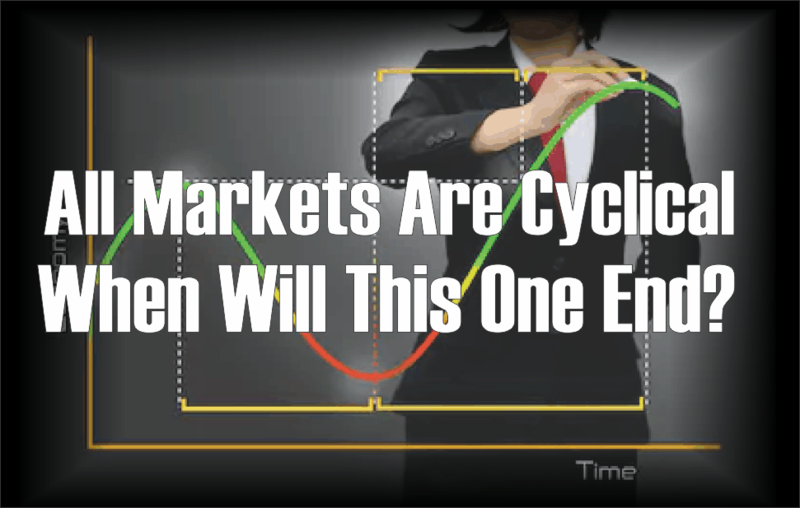 Marks’ basic point – which appears pretty self-evident, though you’d be surprised by how many people try to deny it – is that markets move in cycles. This is a fascinating point as it is not just individuals who try and deny that markets, and the economy, move in cycles but also the Federal Reserve and Government agencies. As I noted last week, the Congressional Budget Office is currently estimating the next 10-years of growth in the economy at a steady 2%. 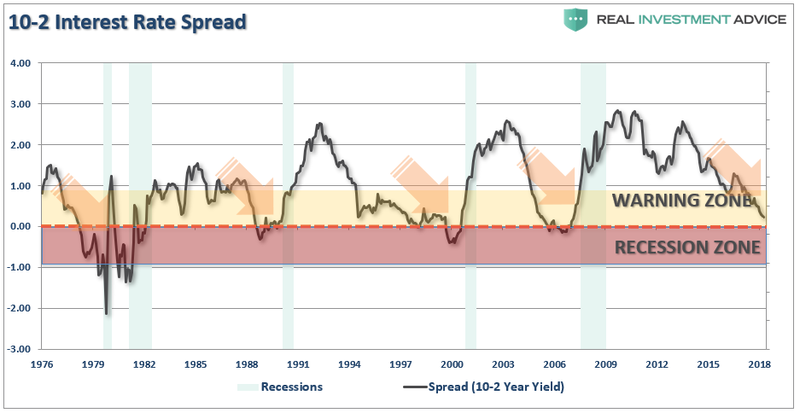 Given this is already approaching the longest economic growth cycle in history, at the lowest rate of growth, and with the Federal Reserve hiking rates, it is highly unlikely the economy will remain “recession free” for another decade. It is also important to note the CBO didn’t predict the recessions in 2001-2002 or in 2008. In fact, in 2000 the CBO predicted the U.S. would be running a $1 Trillion surplus by 2010. They were only off by $2 Trillion when 2010 finally rolled around. What is clear is that both markets and the economy do not only cycle, but cycle together. “Of course, it’s not that simple. You might know that winter is coming; you’ll also know when it’s here. But can that knowledge tell you when the first snow will fall – or if it will fall at all? And there’s your problem right there. 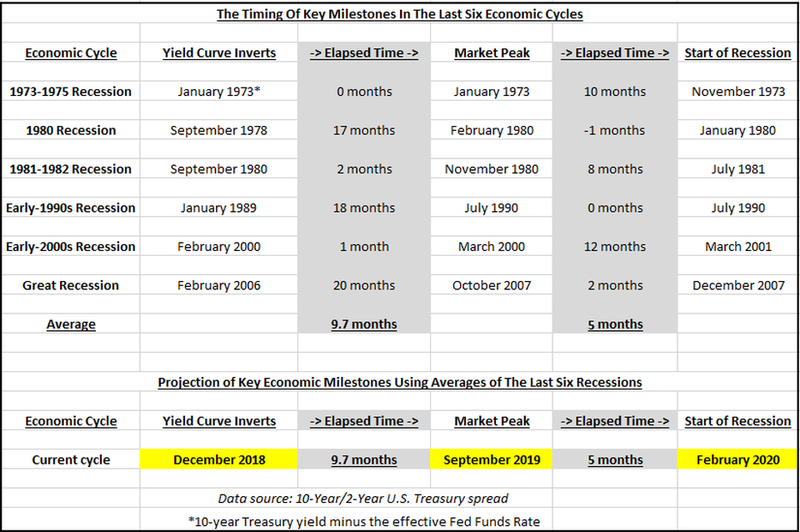 Markets might be cyclical but timing them is almost impossible. You might know that the equivalent of an asset-market winter is coming. But you don’t know when it will hit and you don’t know how severe it will be. That is absolutely correct. But it also the same analysis given for valuations. 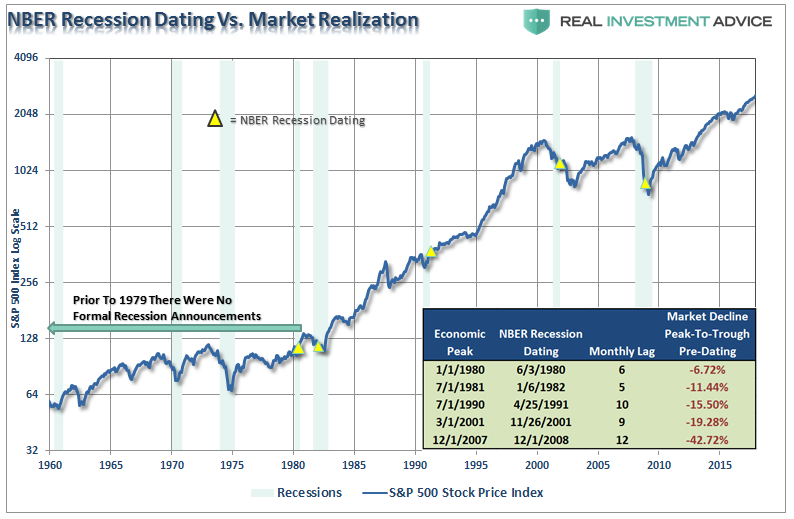 Just like market and economic cycles, valuations are a horrible “timing” indicator. 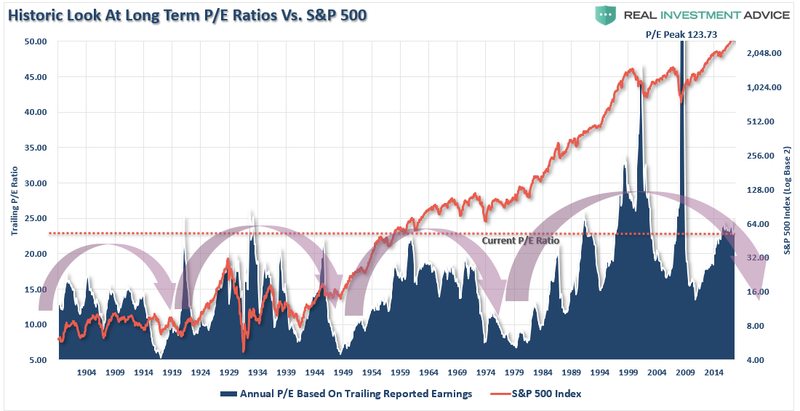 But like cycles, valuations are simply an indication of expected returns in the future. As Marks noted there is no magic formula, or timing device, that can tell you “go to cash now” or “go all in today”. 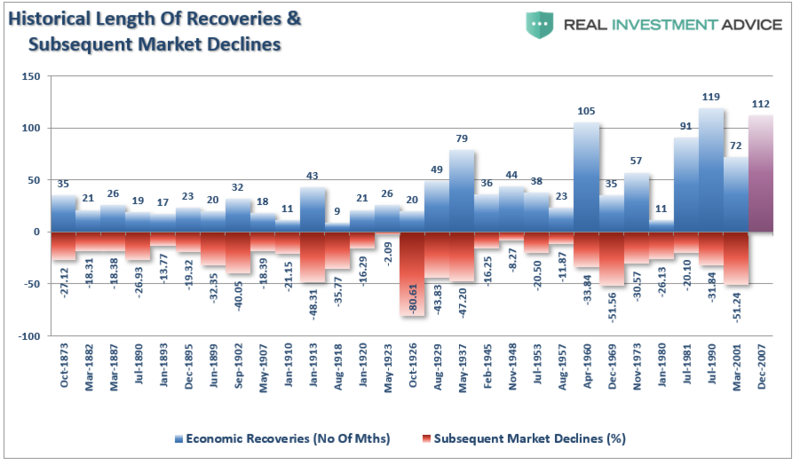 However, it is quite obvious that when valuations are elevated, and interest rates are rising, taking on excessive portfolio risk will have a very low future return. The same goes for market and economic cycles. Today, there are plenty of warning signs which suggest we are nearer the top of this particular cycle versus than not. “Timing, as they say, is everything. Investors are paying ever-higher multiples for increasingly-indebted companies. 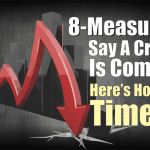 All of these signs suggest an economy, and a market, that is fully matured with investors are behaving imprudently. In other words, things are as “good as they can get,” which happens at the end of a cycle rather than the beginning. So, How Long Until This Cycle Ends? Despite the consensus belief that global growth is gathering steam, there is mounting evidence of financial strain rising throughout the financial ecosystem. The recent spurt of economic growth has been a direct result of massive fiscal stimulus which will fade, wage growth has been weak, and job growth remains below the rate of working-age population growth. “Two-thirds of business economists in the U.S. expect a recession to begin by the end of 2020, while a plurality of respondents say trade policy is the greatest risk to the expansion, according to a new survey. See, nothing to worry about for another 12-months. Each of the dates above shows the growth rate of the economy immediately prior to the onset of a recession. Of course, a full year later, after the annual data revisions had been released by the Bureau of Economic Analysis was the recession officially revealed. Unfortunately, by then it was far too late to matter. When will this cycle end? No one really knows for sure. But then again, “no one could have seen it coming.” Right?